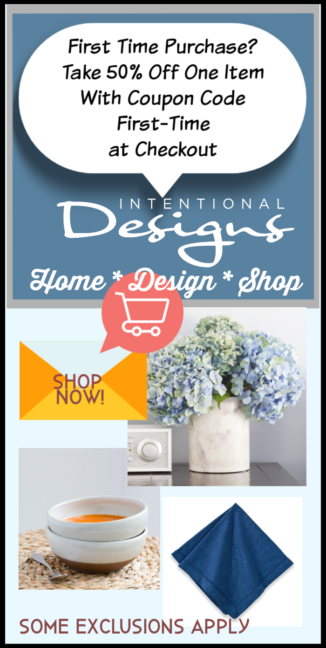 You are here: Home / Design Inspirations / 5 Rooms @ Home with Marigold in the Mix! 5 Rooms @ Home with Marigold in the Mix! Marigold is among the colors of Summer 2018. And with good reason! Marigold adds a sunny bright and optimistic feel to a room. So whether you’re updating your front porch, guest room, kids’ bedroom or kitchen, yellow will add a dose of warmth & energy to your space. 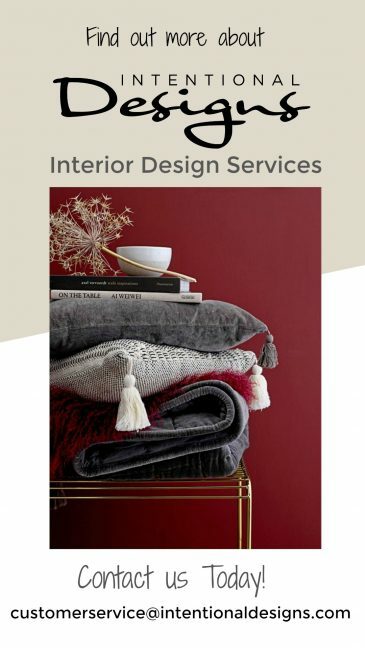 So next time you’re considering adding a little yellow to your home decor, be inspired by these ideas for a quick update. Summer Colors: 5 Rooms @ Home with Marigold in the Mix! What a lovely way to welcome guests! 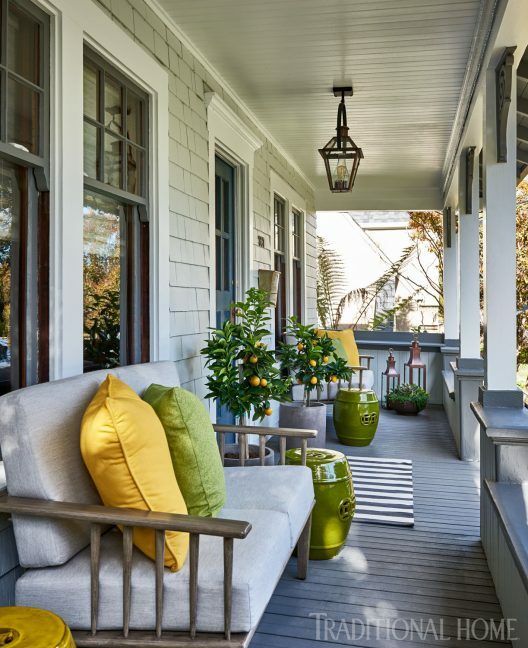 Quickly update your porch with a marigold & green color scheme. Add yellow & green pillows & ceramic ottomans, to further the citrus tree theme! Second, this guest room is brimming with a cheerful yellow wallpaper. My Tip ~Begin by selecting the perfect yellow pattern wallpaper. 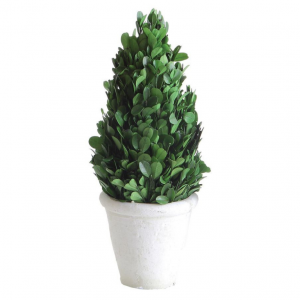 Then support your choice with accessories such as the bedding, area rug, and decorative pillows. Third, what could be happier than this front door painted yellow? Fourth, create a focal point with a hand-painted accent wall in marigold & white. 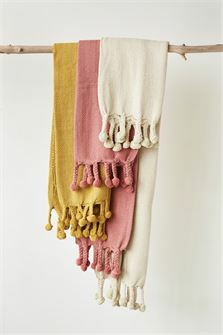 Update your bedroom by just adding a throw to your bed or sofa with IntentionalDesigns.com Pom Pom Throw in Marigold. 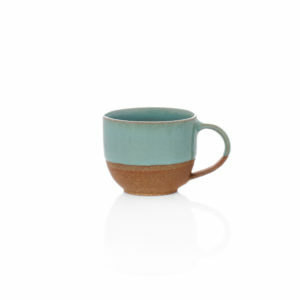 Lastly, in a kitchen yellow is a warm and welcoming choice. 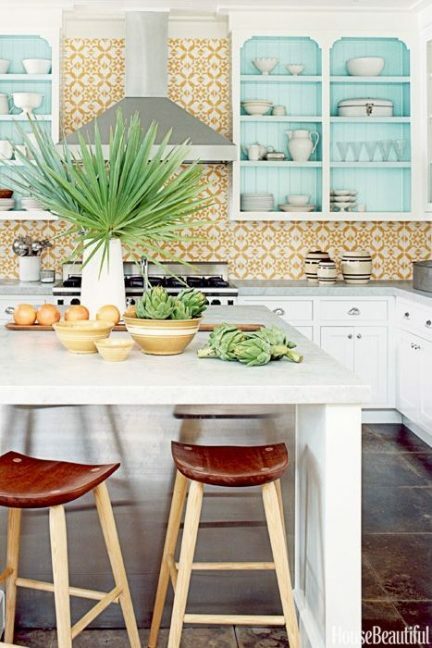 And the Marigold tile backsplash adds plenty of personality without overwhelming the room.